From student revolutionary to urbanism secretary, alderman, congressman and today, an activist focused on climate change, Alfredo Sirkis has much to say about the Rio metropolis’ past, present and future. Is he a visionary? He considers himself the “father of Rio bicycle paths,” since he was the person who took the idea to then-mayor Marcello Alencar in 1992. Today we have about 250 miles of paths. RioRealblog had a thought-provoking conversation with him last week at his downtown office. An experienced politician who’s seen a bit of everything, Sirkis points to many gains for Rio since 2006. But he warns that, even before we get started with the 2016 Olympics, the party is over: “Very soon the state government won’t be able to meet its payroll. It’s going broke fast.” It’s going to be a “Saturnino situation,”he predicts. Saturnino Braga was Rio de Janeiro’s first elected mayor, after the military government came to an end, in 1985. In 1988, he declared municipal bankruptcy; the book A Casa da Gávea (the Gávea house, which is the mayor’s official residence) tells how the mayor dispensed with his official car and drove a VW Bug. The residence was in disrepair. One can only imagine the impact on public service, infrastructure maintenance and investment at that time. While the reader takes in this somber scenario, herewith the best parts of the Sirkis interview. RRB: How do you evaluate mayor Eduardo Paes? “Eduardo had seven years of fairly generous circumstances. There was political alignment — municipal, state, and federal — something quite unusual for Rio de Janeiro . Rio’s selection as host for the Olympic Games brought big investments to the city,” said Sirkis, recalling that the Porto Maravilha port revitalization project first took shape during his term as urbanism secretary, when César Maia was mayor, in the early 2000s. Similarly, Sirkis partially approves of the Perimetral elevated highway removal, allowing better access (particularly for pedestrians) to Guanabara Bay. 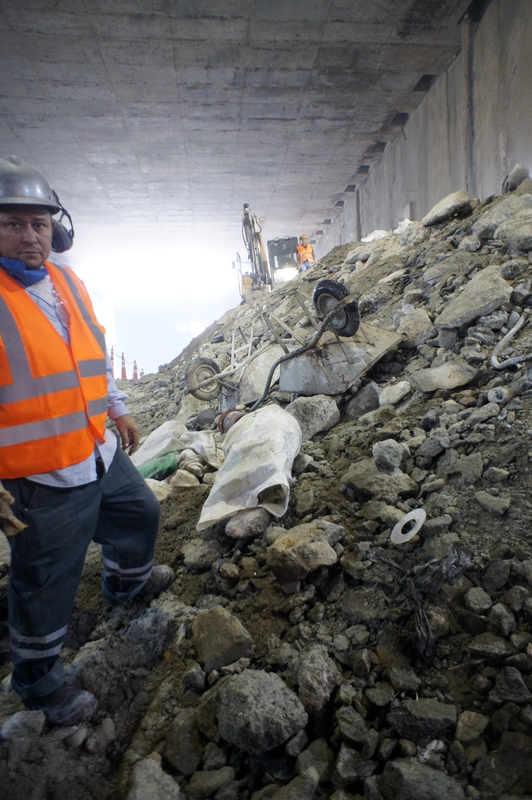 In Paes’ place, he says, he would have left a piece of the overpass standing (from Barão de Tefé Avenue onwards, in the direction of Caju) instead of substituting it with an expressway, which will still function as a barrier to the water. “In the future, I think [the new expressway] will also have to be incorporated into the revitalization,” he predicts. The metro line extension, a federally-funded state public works project, and the creation of the BRT dedicated busways, Sirkis says, are key legacies of Rio de Janeiro’s recent turnaround. In favor of dense urban environments and against urban sprawl, he agrees with critics of Paes who preach less focus on the West Zone and more on the North Zone and the city center. Nevertheless, he believes that the crowded BRT lines are proof of their success. “This shows there’s enough density to economically justify such a transportation system,” he says. Sirkis doesn’t see the large numbers of buses in constant maintenance — due to poorly applied asphalt — as an important factor in current overcrowding. 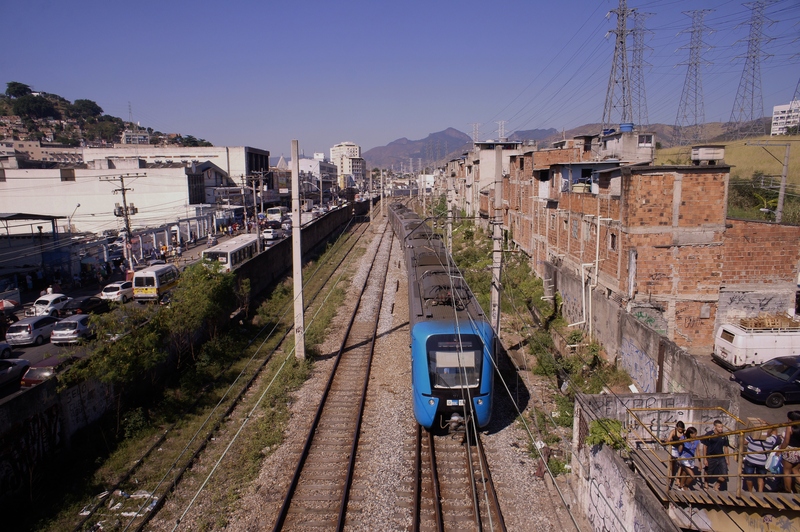 RRB: So, will it have been worth it for Rio to host the Olympics? The West Zone’s Barra da Tijuca is known to have trumped the Ilha do Fundão (or any other part of Rio) on Olympic security, since Barra boasts thinly occupied areas with easy access. He says that comparing what’s going on in Barra with what would have been the case if the Olympics were to be held in the port area, for example, “is a false dilemma … the same funds wouldn’t be available for anywhere else.” There were benefits, he adds, despite the costs of West Zone sprawl. We had an improved investment climate, with money also going into the North Zone and the port area. Just how the last ten or so years in Rio would have been without the perspective of the 2016 Games is something we’ll never know. Sirkis believes that the full impact of the event on the city will only be measurable some time from now. RRB: What’s the main obstacle to urbanizing favelas, as the mayor had promised to do with his aborted Morar Carioca program? IN the 1990s Sirkis created POUSOs, Postos de Orientação Urbanística e Social (Social and Urbanistic Orientation posts), located in favelas to “provide on-site technical support to ensure safety and introduce regulations in favela construction.” Since then, he’s observed that land ownership issues are the biggest obstacle to urbanization (and consequently, urban integration). Brazil is full of these gray areas, the result of centuries of inequality and irregular justice, permeated by personal relationships and odd compensations — that block institutions’ capacity to treat cases solely on the basis of their merits. This paralyzes governments. RRB: How can we deal with powerful groups, such as bus companies? “In relation to the issue of construction companies, bus companies, I think they’re there, part of reality. Either you expropriate the buses — and buses were expropriated, with disastrous results, during the Brizola government — or you try to create a certain degree of regulation and repression. But you have to take into the account the fact that they have interests, they’re not philanthropic groups, they’re companies. So it’s a complicated balancing act, with the political complication of the [bus companies’] influence on … the City Council, so it’s complicated, often, to stand up to their interests. He suggests that the city try to keep part of all public services under its own management, just to have some idea of real costs and the kinds of problems that arise. This strategy is also a useful tool when it comes to a strike, he adds. RRB: Since you see tough days ahead, what can Rio de Janeiro do to get through the current recession? 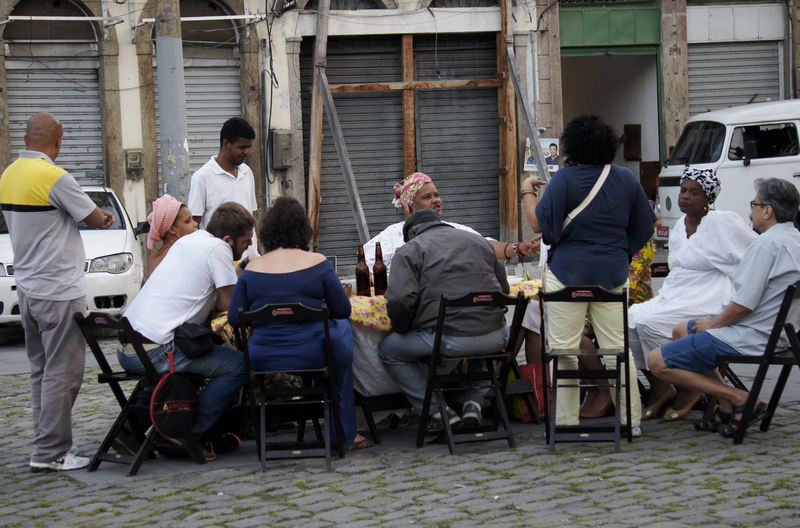 “Rio de Janeiro has to find its economic vocations and remove barriers. Rio de Janeiro is a knowledge center, but the universities need to connect up more with companies,” says Sirkis, pointing to Recife’s Porto Digital as a model. Given that the pre-salt oil fields’ brilliant future is over, the construction boom is ending and the public employment option “is at its limit”, Sirkis suggests a neighborhood-by-neighborhood survey of ongoing and potential economic activity. “You have to encourage more permanent employment,” he adds, and reduce bureaucracy. With or without a recession, one thing is for sure: there are no more VW Bugs in Rio’s future. At very least, the golden era now coming to an end has given us more space for bicycles, dedicated busways and the metro. This entry was posted in Brazil, Porto Rio de Janeiro, Transformation of Rio de Janeiro / Transformação do Rio de Janeiro and tagged Alfredo Sirkis, Morar Carioca, Rio de Janeiro bus companies, Rio de Janeiro favela urbanization, Rio de Janeiro mayor Eduardo Paes, Rio de Janeiro Olympic Games, Rio de Janeiro recession. Bookmark the permalink.